When we actually think about it, our hands go through a lot. They endure the heat, the cold, the wind, the sun, dish washing, cleaning, gardening, scrubbing, holding, lifting - you name it, they withstand it, although sometimes with some after effects. I used to be pretty bad about taking care of my hands, but ever since I started dabbling into skin care, I can definitely notice how much better they look and feel. While our nails need special attention too (more on that here), today I thought I would focus on our hard-working hands and share with you my top 3 creams for keeping them looking and feeling their best. 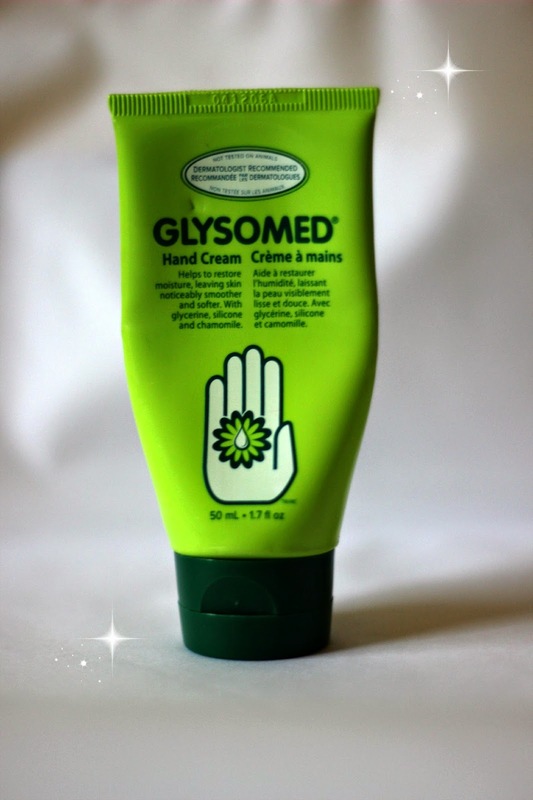 The first hand cream that I wanted to share with you is the Glysomed Hand Cream. It is formulated with glycerin, silicone, chamomile and antioxidant, which are all extremely beneficial when it comes to combating dry skin. The green tube that I use is slightly scented, but it also comes in an unscented version. This one I always keep in my purse and use throughout the day whenever my hands are feeling scaly or itchy. It feels light and although it takes a bit of time to absorb (15-20 minutes), it really helps relieve my hands when I'm on the go and need something that will provide long-lasting and effective results. This one is sold in most drugstores and is really affordable. I always stock up on it whenever it goes on sale since a girl's gotta love a good bargain! The Bath & Body Works Shea Cashmere Twilight Woods Hand Cream is a personal favorite because I am completely obsessed with the scent. So much so that I also got the Twilight Woods Fine Fragrance Mist (reviewed here) as a back up since I sadly can no longer find the hand cream in store or on their website, although I think it might have been reformulated or repackaged into this True Blue Spa Shea Cashmere Hand Cream. I've been using it sparingly since I got it because I like is so much, but I might just get the body cream instead once I run out. This cream smells of apricot nectar, mimosa petals, mandarin, and coconut, among other lovely notes. I have to say it isn't as hydrating as the Glysomed cream, but it is still very soothing and the scent itself makes it a winner in my books! 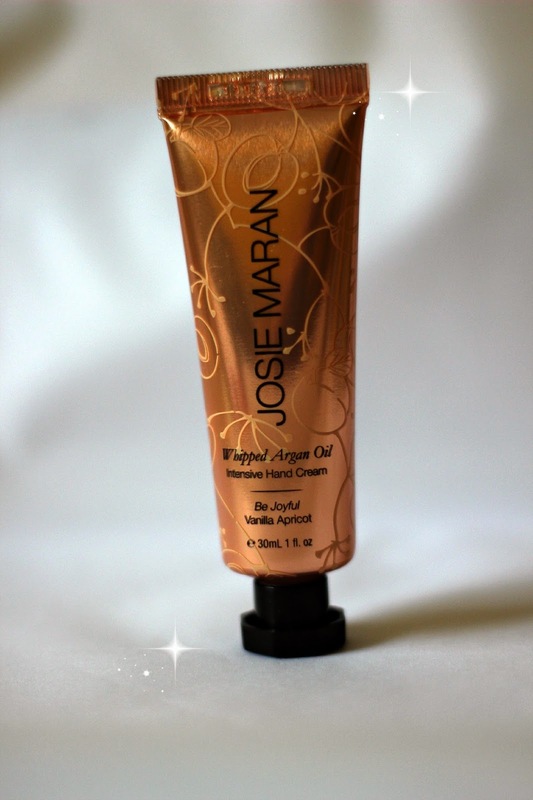 A recent addition that has quickly become a top contender is the Josie Maran Whipped Argan Oil Intensive Hand Cream in Vanilla Apricot. Now this one is perfect to use at bedtime since it is very rich and hydrating. Once again, the scent is just divine; it is formulated with shea butter, green tea extract, chamomile and macadamia nut oil, so it is packed with natural ingredients and is also paraben and sulfate free. 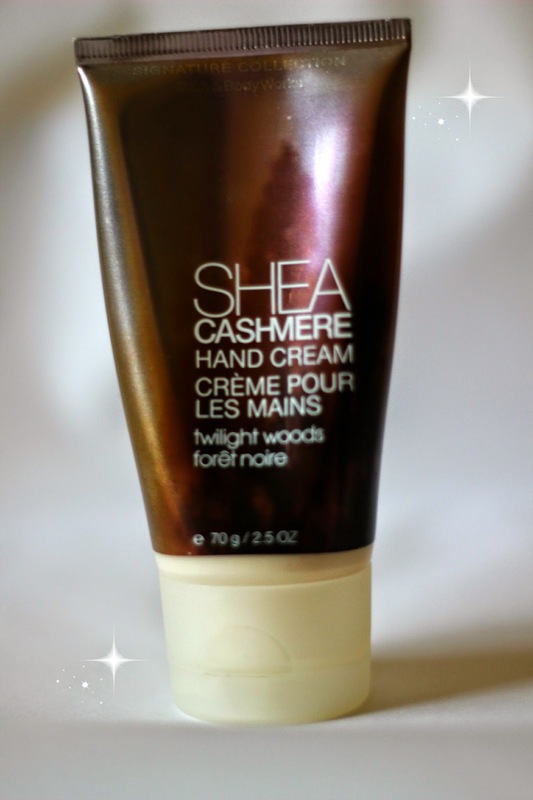 This product is on the luxurious side and doesn't come cheap, but if you are looking for a cream that will whip your hands back into smooth bliss, this one, which you can get from Sephora, is definitely worth the extra money. Are you good about taking care of your hands? 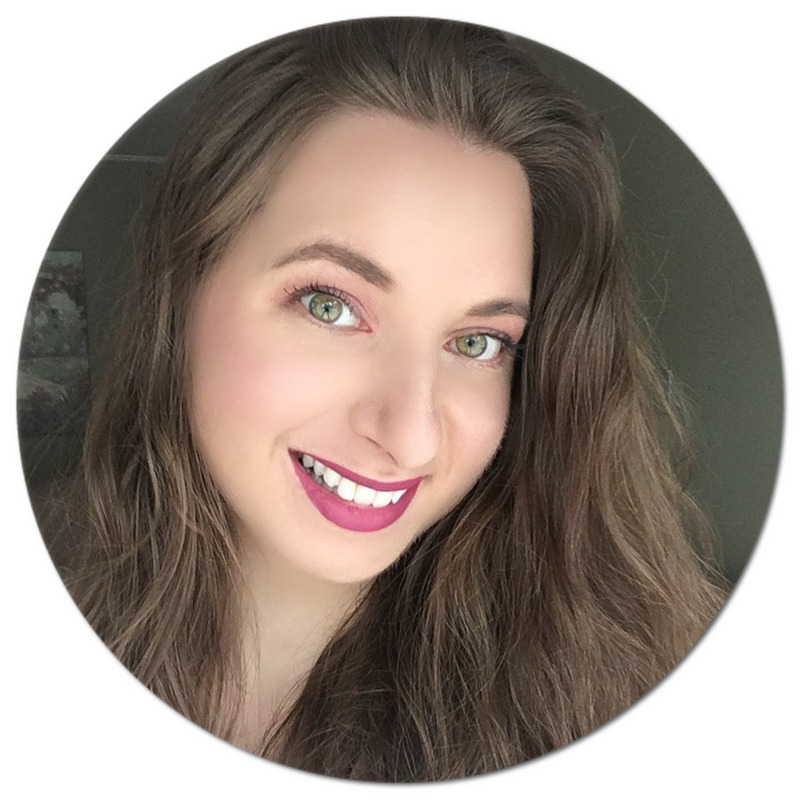 What products do you like to use to keep them looking and feeling their best? I am liking the sound of that Josie Maran hand cream! Thanks for the share! I'm always in search of a good hand cream. I just can't stand how greasy some of them are! 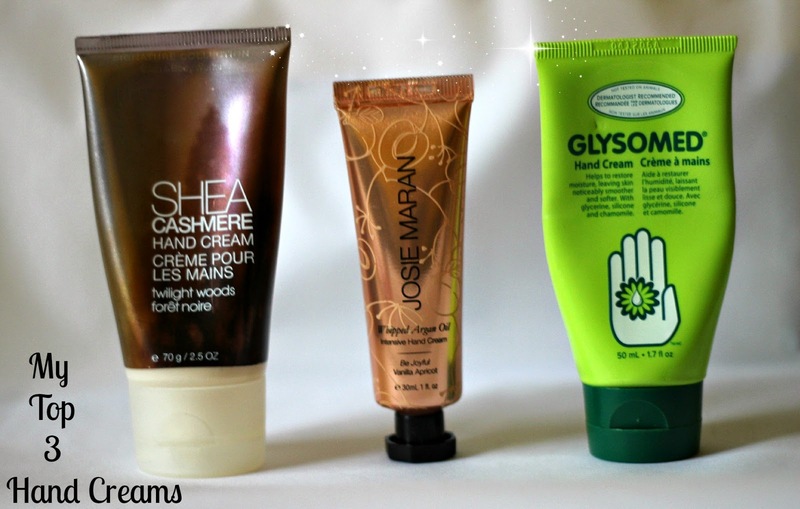 Thanks for the review on Josie Maran hand cream, will check it out! A good hand cream is one thing I am always after.. I use LUSH Lemony Flutter but sometimes it takes too long to sink in if I accidentally use too much.. I've only tried the Glysomed one so maybe I should check out the other two you mentioned. That Josie Maran one got me through the Winter months. It is amazing! I'll check these out. Thanks for sharing! I have a scar on one of my middle fingers from years of taking notes in HS. I really do need check this out.